This recipe has been posted long ago on my Chinese food blog. Here comes the English version for those who love the traditional Hong Kong sweet soup. This sweet green mung bean soup is great for summer, served either in warm or cold. There is one special ingredient, stink grass listed in this recipe. Hope you won’t be scared off by its name, 臭草 (literally means “stink grass” in Chinese). I don’t quite know how and why this little, humble herb got this unpleasing name. 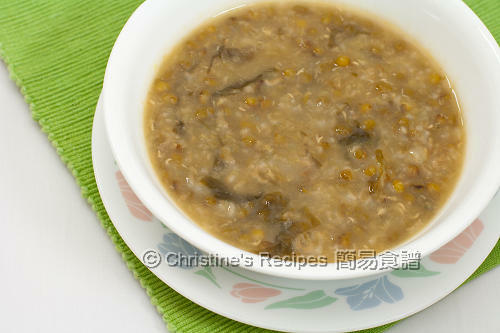 In fact, the herb smells very fragrant that makes this Hong Kong sweet soup very special. No other herb can replace it. Many of my Chinese fans claimed that they can’t have the sweet soup without this little herd. Those two tinny sprigs were gift from my friend who grows them in her backyard. You might try your luck to see if you can source some from any Asian grocers nearby. If no luck, just the green mung beans and seaweed can also make you a good dessert. Hope you like it as much as my family does. This little herb, "stink grass", smells very fragrant actually ! 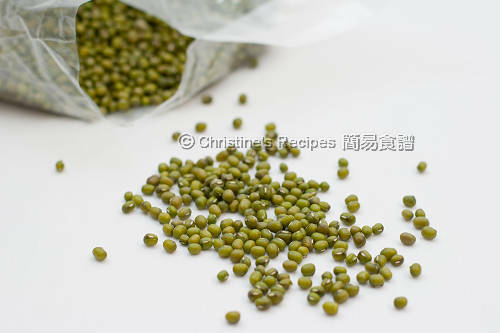 Green Mung Beans are available at Asian stores. Rinse the beans and soak for about 1 hour. 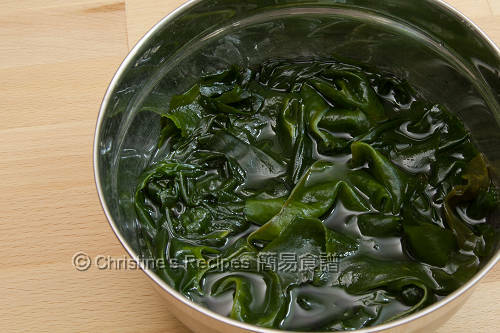 Soak the seaweed until softened. Drain well. Cut into thick strips. Rinse rice and drain well. Set aside. Use a large deep pot. Add 2 liters of water and bring to boil. Add the beans, rice and stink grass. Cook over high heat. When it boils, reduce heat to medium-low and simmer until the beans are soft. Keep an eye on it while cooking because you don’t want the soup to spill over everywhere. Add the seaweed and rock sugar to taste, continue to cook until the sugar completely dissolves. Done. Served hot, warm or cold. You might like to skip the rice, the texture will become thinner. 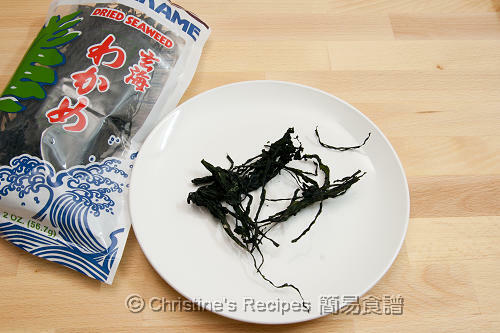 The dried sea weed will increased 10 times in size. A small amount of it is enough. Very interesting! I learned something new about the herbs.. 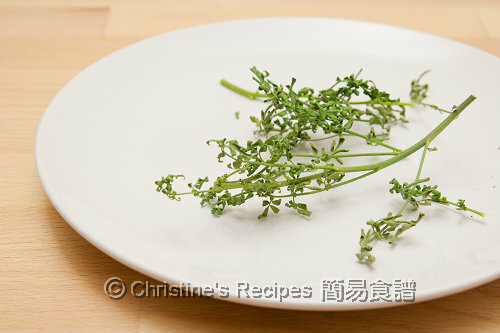 Already put in the ingredient list, "stingy grass" called 臭草 in cantonese, chinese. I love the taste of the 'stinky grass', my grandma used to cook this very often when I was a little girl. I believe the proper name for 'stinky grass' is 'Rue', it is a kind of herb and I grow it in my backyard. You have got a fabulous blog ,first time here.. Please check out my blog when u get time..Thanks in advance..Happily following you..
Never heard of 臭草 before. Very interesting. Where to buy stink grass? Try Asian grocers. You might get some there. Already written before the recipe. It could serve 4 to 6 people, depending how hungry they are.